Is any time, the best time to travel to Hawaii? Off-season travel to Hawaii is when prices on hotels, flights and packages are lower. But what other factors should you take into consideration? We’ve compiled information that should help you determine the best time to travel to Hawaii. With the season just around the corner, the time to plan is now. What Season is the Best Time to Travel to Hawaii? Seeing the snow outside, but still shivering inside? You might be thinking of getting away from it all. But is this the best time to travel to Hawaii? Often this may be the most expensive time of the year to fly to the Aloha State. But towards the end of winter travel prices to Hawaii tend to go down. But before you get too carried away at the prospect of lounging on sun-soothed beaches, make sure you have checked your facts before hopping on a plane. Here are some key factors to planning the perfect getaway to the Hawaiian Islands. 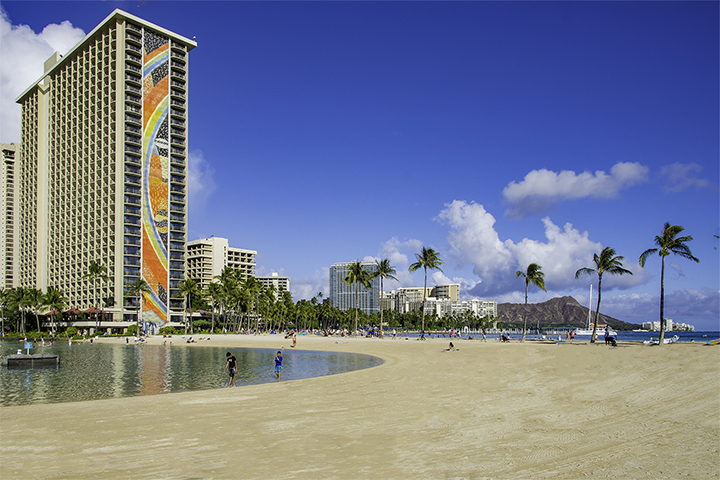 June to August are the busiest months of travel in Hawaii. This is when most families take their vacations in Hawaii. Prices soar during these months. So aim to book those flights before June gloom sets in. Plan a pre-graduation getaway at the end of May. Or do a back-to-school September trip with the kids. Either way, you want to keep your eyes out for deals April to June and September to November to maximize your savings. If you plan to visit at the end of April or the beginning of May, make sure you book your hotels early in advance. The final week of April is called “Golden Week” in Japan, as three national holidays are close together. Hawaii becomes a popular destination for Japanese tourists at this time, making rooms more scarce and expensive. Waikiki seems to get the brunt of this seasonal demand, but all the islands become hectic at this time. Hawaii is a popular destination for worn-out workers looking to relax. So make sure you beat the crowds. By doing this you’ll find savings as well as make your vacation more pleasurable. Ko Olina (the southwest coast of Oahu). Kona-Kohala Coast (on the Big Island). Kihei, Wailea, Lahaina and Kapalua (the south and west coasts of Maui). Poipu Beach (the southwest coast of Kauai). We know the last thing you want is to land in tropical paradise only to find a monsoon is keeping you off the beaches and out of the surf. If perfect weather is your main goal, then it might be worth exchanging a popular destination (and less privacy) for a guaranteed sunny trip. There is no denying that spring is glorious in Hawaii, as all the flowers are fragrantly in bloom. A fresh array of fruit is also in full season, making this a lush and particularly scenic time to go. The water is around 70 degrees and the rains are seldom. However, be sure to plan around the Merrie Monarch festival which begins on Easter Sunday and tends draw large groups of people. Fall sees similar decreases in travel and accommodation costs and is equally as temperate as the spring. Bear in mind that trade winds tend to pick up in November. In early October, the Big Island hosts the Ironman Triathlon World Championships in Kona. This event draws enormous crowds across the islands. You don’t want to find out every surf instructor is fully booked or get stuck in a traffic jam on the Road to Hana. That hardly sounds like a vacation. After all, this is about you having some well-deserved R&R. So plan ahead to make sure you get it.